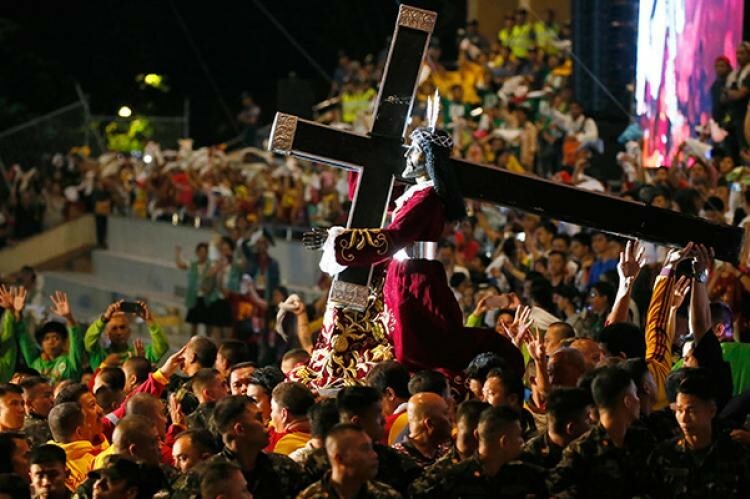 Every ninth of January Filipinos fervently pay homage to the Black Nazarene. The entire grounds of the Quirino Grandstand and the streets leading towards Quiapo Church became a sea of millions of people, who climb and jostle one another to get close to the image of the Black Nazarene. They brave the heat and the mammoth throng just to touch the image of the Black Nazarene during the Traslacion. The local authorities reported that some 4 million devotees participated in the 10-day event which started on December 31, 2018, until January 9, 2019. According to newspaper reports, the attendance has increasingly been growing over the years. This could have been the reason why recently, the route of the procession had been carefully planned and stretched to accommodate the growing crowds. The centuries-old statue of the Black Nazarene is widely believed to be miraculous. A good number of devotees claim that their petitions have been granted and their incurable illnesses had been healed. The miraculous image, carved from a mesquite wood by an anonymous sculptor, was believed to have been brought to Manila by the Augustinian Recollects from Mexico in the mid-1600s. The statue, a life-sized image of a suffering Jesus fallen under the weight of the cross, is also known as Poong itim na Nazareno (Our Lord, Black Nazarene). A local legend has it that while the image was being transported to Manila a fire aboard the Spanish galleon partially charred the image, leading to its dark color. In 1945, during the war, the image was partially damaged. A renowned Filipino santero, or saint carver, Gener Manlaqui, was commissioned by the Archdiocese of Manila to carve the present image. While the original head of the image was retained, other parts of the images are replicas. On New Year’s Day, from the Quiapo Minor Basilica, the image is brought to Quirino Grandstand for the beginning of a novena that leads up to the Black Nazarene’s January 9 feast. On January 8, the eve of the feast day, a huge number of participants, mostly youth, gather for a vigil and preparation for the procession. The faithful line up at the grandstand for the opportunity to kiss or touch the cross or foot of the Black Nazarene called pahalik, or kissing of the image. The Black Nazarene devotees are the poor, the rich, the famous and even politicians. The vigil exacts from them an ample amount of patience and determination to pay homage to the Black Nazarene and to venture into the long hours of the procession. The vigil is highlighted with prayers and programs that includes stage plays and religious talks. After the morning Mass on January 9, the Traslación procession of the Black Nazarene from the Quirino Grandstand to Quiapo begins. The Traslacion is simply the reenactment of the 1787 Solemn Traslacion (transfer) of the image from its original home, where Rizal (Luneta) Park is now located to its present home at the Minor Basilica of the Black Nazarene, known canonically as the Parish of Saint John the Baptist, and also known as the Quiapo Church, where the image is enshrined. The procession covers a 6.5-kilometer route from Rizal (Luneta) Park to the Minor Basilica in Quiapo. The Black Nazarene is moved from the grandstand to a special carriage to begin the long, slow procession. The most determined devotees walk the route barefoot as a penance and emulation of Jesus on his way to Golgotha. The act of walking barefoot is a panata or vow of sacrifice and thanksgiving to Christ. The procession usually takes around 20 to 22 hours before it reaches the Minor Basilica of the Black Nazarene. Traditionally only men were allowed to act as namamasan (the barefoot men who pull the wheeled carriage using two large ropes). Recently, though, women have also been allowed to pull the rope. The right side of the rope (signifying the right shoulder of Jesus) was traditionally believed to be the most sacred side since it was the side on which Jesus bore the Cross. The Hijos del Nazareno (Sons of the Nazarene) clad in yellow or white shirts, serve as procession marshals and honor guards for the Black Nazarene. They are the men visible on the top of the carriage during the Traslacion. They control the devotees who climb up on the carriage to touch the Nazarene or the cross. They wipe the image with towels and handkerchiefs tossed at them by devotees. After being touched the images with those clothes, they are believed to have “rubbed off” the miraculous power and curative abilities of the statue. The Philippine National Police claims that during the Traslacion, reports of any crime in the whole of Metro Manila drop to nil. This phenomenon is attributed to the fact that even the thugs probably join the procession. The pickpockets, the holduppers and the scammers are doing their yearly panata during this period. Ironically, the hoodlums have a deep devotion to the Black Nazarene as a way of identifying their own struggles with the passion and death of Jesus and a time for begging the Lord for their offenses. Many have described the religious procession of the Black Nazarene as religious fanaticism and folk religiosity, associated with magic and out-of-focus with the real Catholic faith. Bishop Deogracias Yñiguez Jr. bishop of the Diocese of Caloocan in Manila said that the devotion we give to this statue (the Black Nazarene) should be properly understood. He explained plainly that the image does not have special powers; it is just a representation of our Lord. When you believe it has special powers per se, that is when it becomes superstition, he added. The former rector of the Minor Basilica of the Black Nazarene, Msgr Jose Clemente Ignacio admitted that indeed there are elements of fanaticism in the devotion of the Filipino faithful that need to be corrected. Most of the Filipino Catholic bishops and priests agree that this devotion along with other Filipino devotions is genuine Catholic devotion that nurtures the spiritual life of the devotees. However, they think that these devotions ought to be accompanied by a sound theological reflection. Hence, bishops and priests have always been shepherding the Black Nazarene devotees and making themselves available so that the devotion to the Black Nazarene will be centered on the Eucharist and the sacrament of confession. Persuasive priests and bishops are assigned to give talks during the vigil, to inspire the faithful especially the youth to become ardent Catholics and followers of Christ. This year, the Archbishop of Manila, Cardinal Antonio Tagle presided the midnight Mass prior to the Traslacion. He began the day of the Traslacion with a reminder of what he said were the marks of a true devotee to the Nazarene: true love, honest service, and unity with Jesus. The devotion to the Nazarene is meant to be a devotion to the suffering Christ. It is a devotion that is intended to help the devotees to trust in the mercy and compassion of God especially in the sacrament of penance. It is a devotion that aims to help the faithful to be comforted in their sufferings and inspire them to follow Christ in bearing their crosses in life and to trust in his grace. 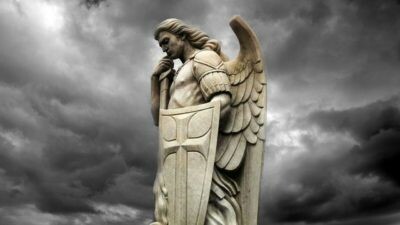 Considering those who have received healing from the devotion, it has also become a devotion to Christ the Divine Healer. The devotees that participated in the Nazarene procession reminds us of the Gospel account of the multitude that flocked to Christ seeking to be healed of their sickness or to obtain other material favors from him. Jesus speaks of them as being like sheep without a shepherd. He granted them the material blessings that they sought from him. But Jesus is clear with his teachings. In the episode of the feeding of the five thousand, for instance, Christ would later chide the multitude for following him only so they can have bread. He tells them to seek after the bread from heaven that will give them eternal life.